The Guptas are well known for their alleged role in state capture in South Africa. But the #GuptaLeaks show how Gupta lieutenants allegedly went about capturing an Indian aviation company. Heritage Aviation is an Indian aviation company with no apparent direct links to the Guptas or South Africa. 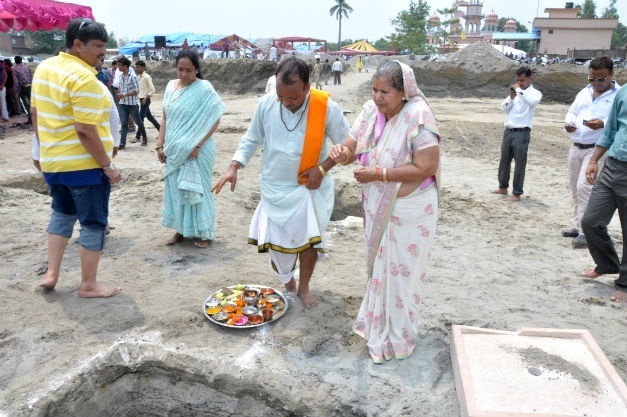 The company was formed in 2009, operating mostly chartered pilgrimage and temple tours from a small helipad in the unfortunately named town of Guptkashi. 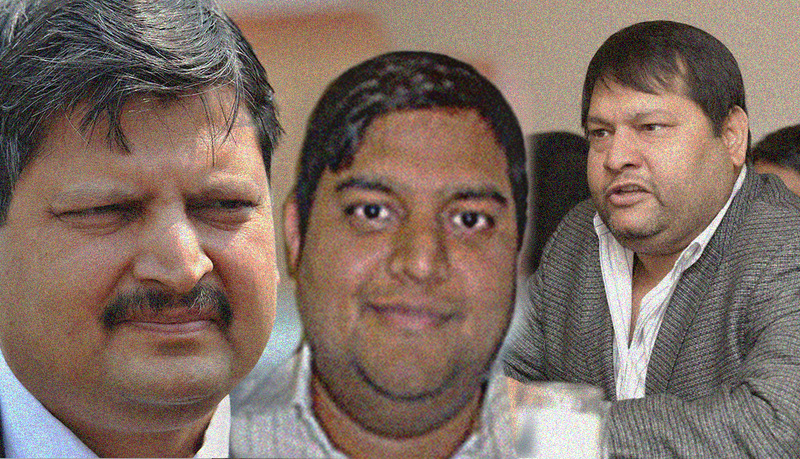 But the leaked Gupta emails show how its sole director, Rohit Mathur, was duped, browbeaten and eventually strong-armed into giving up control of Heritage to the Guptas. To set the scene, we take a step back. Last year, News24 journalists Pieter-Louis Myburgh and Angelique Serrao attempted to crack open the City of Shells. 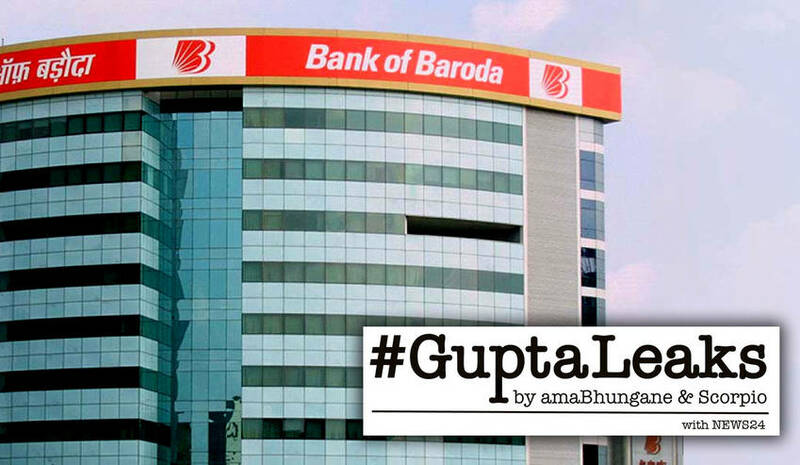 Tellingly, it was what they didn’t find in Dubai that was of significance: of the six Gupta associated companies linked to Dubai, only one, Griphon Line Trading, had an actual office. And even that office appeared permanently closed. Dubai is a low-disclosure jurisdiction, which means obtaining official records of company shareholding and directorships is extremely difficult, if not impossible. One of the shell companies News24 journalists could not find in Dubai was Fidelity Enterprises Ltd. Fidelity was traced, using information in the #GuptaLeaks, to Al Quoz, an industrial district in the western reaches of the city. There the trail went cold among the dusty warehouses: locals had never heard of Fidelity, nor did they have any idea where its business address was. Except for a brief mention in Oakbay Resources and Energy’s pre-listing documentation, no apparent links exist between the businessmen from the rural town of Saharanpur and Fidelity. Fidelity is first mentioned in the #GuptaLeaks in a string of dodgy transactions between Gupta-linked companies starting June 1, 2011. SES Technologies (SES), another Gupta-linked company based in India, transferred US$400 000 to Fidelity, with the payment confirmation sent to Ashu Chawla. Chawla was a director of SES at the time and a known Gupta lieutenant. On February 15, 2018, Chawla appeared in the Bloemfontein Magistrate’s Court on charges relating to the Estina dairy farm, where millions in state funds intended for developing emerging farmers were funnelled to the Guptas. A relationship between Fidelity and the Guptas could also be witnessed in several other transactions. A US$1m payment was made to Oakbay Investments on March 5, 2014. 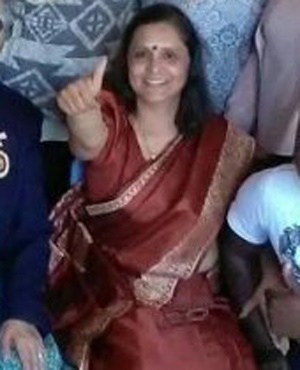 An unsigned loan agreement was sent to Gupta lieutenant Ronica Ragavan’s JIC Mining email address. In the agreement Fidelity undertook to lend $15m to an as-yet-to-be-identified borrower. It is clear from the #GuptaLeaks that service providers were frequently requested to invoice Fidelity for trips undertaken by the Gupta brothers. In February 2012, Gupta-owned Sahara Computers paid Fidelity US$1m for “software”. A few days later Sahara paid another US$180 000 into Fidelity’s dollar account, as well as EUR320 000. Considering the exchange rate at the time, Sahara paid Fidelity at least R12.2m in February 2012 alone. Not bad for a business without an address. Fidelity’s lofty aviation aspirations took off in mid-2014. On June 6, 2014, Fidelity sent a letter of interest to Green Lane Capital Corporation. This expressed Fidelity’s interest in purchasing a 2005 Agusta A109E helicopter. While Fidelity had an aircraft, it still needed an operator in India licensed to use the helicopter over there. Heritage Aviation, headquartered in India, had previously managed another aircraft on behalf of Sahara Computers. Sahara leased its Beechcraft King Air B300 (bearing registration number VT-ACD) airplane to Indian company Air Charter Services. Heritage was without a licence at the time, and was mainly responsible for the logistical arrangements around the aircraft. After obtaining its own licence in May 2014, Heritage Aviation’s Mathur requested Ajay Gupta “to kindly give me an opportunity about the lease of aircraft to my company so that I can start the procedure in DGCA (director-general of civil aviation) immediately”. The director-general of civil aviation supplied a no-objection letter to Heritage Aviation on October 9, 2014, giving it the green light to operate. The problem was simple: Fidelity had the aircraft, but needed an operator in India; Heritage had an operator licence, but needed aircraft to fly. Their solution was to have Fidelity lease its aircraft to Heritage, thereby securing Fidelity an income while allowing Heritage to pocket any profit it made after the cost of the lease was accounted for. Heritage would fly charter services, charging wealthy individuals for the privilege of private flights. Fidelity was greedy: as a foreign company, Fidelity would be taxed 25% of the lease revenue in terms of Indian tax legislation. Its tax obligations could be reduced to only 10% if the transactions were funnelled through a permanent account number (PAN) member. As Suresh Tuteja, former chief financial officer of Sahara Systems in South Africa, pointed out in correspondence to Chawla, Fidelity either had to apply for a PAN itself, or make use of another entity that was already a PAN member. On October 16, 2014, Gupta lawyer Martinus van der Merwe, of the firm Van der Merwe and Associates, supplied Chawla with a new lease agreement between Fidelity, Heritage and Islandsite Investments 180. This appears to be an attempt to structure the agreement as per Tuteja’s instructions. Islandsite is a Gupta investment holding company, and owns, among others, the Guptas’ Sahara building in Midrand and the family’s R17m Constantia compound in Cape Town. The plan was abandoned when it became clear that Islandsite would be in the same position as Fidelity in terms of its tax obligations, and that Heritage had already informed aviation authorities that the aircraft would be leased from Fidelity. The deal was decidedly global. The seller was in the United States. The buyer, a company in Dubai, managed from South Africa. An operator was waiting in India, eager to take on the helicopter waiting in Rio de Janeiro. The contractual wrangling between Green Lane Capital, various brokers, Fidelity and eventually Heritage was facilitated by the Guptas’ lawyers in South Africa at the time. Heritage’s Mathur attempted to negotiate better terms for himself and his company in respect of the lease agreement. His attempts were shut down by Chawla and Tuteja. On November 24, 2014, Tuteja drafted an email to Mathur on behalf of Chawla. Fidelity and Heritage finalised the lease agreement on Chawla and Tuteja’s terms on January 20, 2015. Heritage would lease the aircraft for 20 million rupees per annum, payable in quarterly instalments of 5 million rupees. This equated to R3.6m per year, payable in quarterly instalments. At around the time that Mathur signed the lease agreement for the Agusta helicopter, Chawla and Tuteja were engaging Airbus Helicopters to purchase another two aircraft. On February 21, 2018, Airbus invoiced Fidelity Enterprises for two Airbus AS350 B3e helicopters. The purchase price for the aircraft was just short of R51m and R2.5m was paid to Airbus on February 23, 2015, securing the brace of aircraft. One of the AS350 B3 helicopters, with the proposed white and gold colour scheme. The legal vetting was once again undertaken by the Guptas’ attorney, Van der Merwe. Mathur’s Heritage Aviation was approached to lease the aircraft, and the deal was finally concluded on March 5, 2015. On March 7, 2015, Mathur once again attempted to negotiate better terms in respect of the lease agreement between Fidelity and Heritage. “I don’t want to make any commitment to you which becomes difficult for us to honour. I am also providing first 50 hours as absolutely free of flying charges. Therefore Rs 2.5 Crores (25 million rupees) lease will be too much for my company and so I will sincerely request you agree to my suggestion,” he pleaded. Chawla and Tuteja pushed ahead remorselessly. At the same time, Chawla and Tuteja arranged for Heritage to take over the lease of Sahara Computer’s Hawker Beechcraft Beechjet 400XP for another 7.5 million rupees per annum. 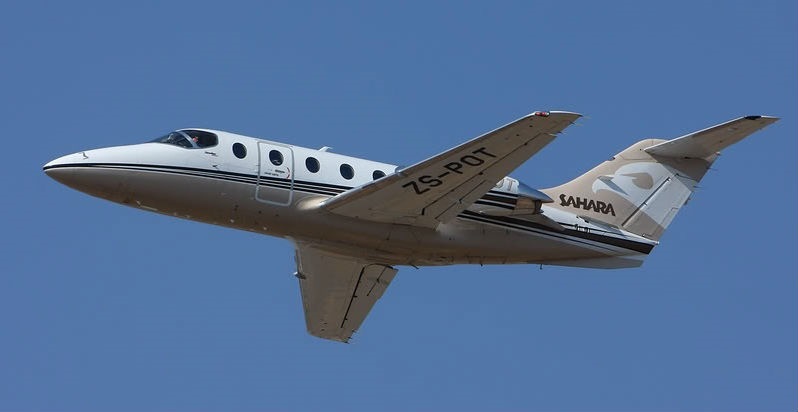 The aircraft was transferred from Lanseria’s Execujet (using registration number ZS-POT) to Heritage Aircraft (using registration VT-HBX). Heritage entered into a lease agreement with Sahara Computers at 7.5 million rupees per annum. The transfer was concluded in mid-2015. The final lease agreements saw Heritage coughing up US$400 000 to lease each of the two B3s, 5 million rupees per year for the Agusta and another 7.5 million rupees per year to lease the Beechcraft. Heritage had been bound to a total annual obligation of almost R25m per year towards the Guptas. Between November 2014 and June 2015, Fidelity engaged Heritage with a view to establish a joint venture between the two companies. It made business sense: Fidelity had planes, and Heritage had the licence needed to operate in India the planes it had leased from Fidelity. From correspondence in the #GuptaLeaks, it is established that Heritage insisted on a 50/50 partnership. Ajay Gupta, Chawla and Tuteja were however pushing Mathur to settle for a 51/49 partnership in their favour, in essence giving them control over Heritage. On April 6, 2015, a final joint venture agreement was sent to Mathur. He appears to grudgingly agree to the 51/49 ownership. It is unclear if the joint venture went ahead. But on September 12, 2015, Heritage hit turbulence. In a letter dated September 11, 2015, addressed to Heritage, Fidelity informed Heritage it was in breach of the lease agreements it signed. Fidelity required Heritage to pay 15 million rupees and US$400 000 in terms of the first and second lease agreements respectively, within three days. Should Heritage fail to pay, Fidelity would terminate the lease agreements and inform the DGCA, resulting in a termination of Heritage’s operating licence. Heritage had to find a way to pay nearly R9m within three days, or lose everything upon cancellation of the leases. Four days later Tuteja and Naresh Khosla, a former employee of Sahara Computers in India, met with Mathur, and attempted to convince him to hand over his financial control of Heritage to Tuteja. Mathur would only be allowed to keep operational powers. “Tuteja ji also… threatened in a subtle way that if I don’t agree to his suggestion, bosses will take a decision on closing the operation,” Mathur confided to Chawla later that day. Chawla promptly forwarded the message to Tuteja. “When we were discussing final points of JV [joint venture] with Ajay Sir around 22 April you were also on the phone line. Ajay Sir told me that I must agree for giving 51% stake to Sahara and in return all management rights will always remain with me. I am very eager to understand why after 1 – 2 months of getting NSOP (operator permit) I am being pressured to give away financial powers. Why there is a drastic change in your stand?” The response and eventual agreement reached with Mathur is not clear. It was a case of Heritage needing Fidelity’s aircraft more than Fidelity needed Heritage to operate them. While Fidelity could easily lease its aircraft to another operator, Heritage was entirely dependent on Fidelity’s aircraft for its income. Heritage could either agree to the Guptas’ demands, or stand to lose its sole means of generating revenue while still owing millions to Fidelity. Less than two months later, Indian company records show Mukul Tekchandani was appointed as a director of Heritage Aviation. Tekchandani is also a director of SES Technologies, a company directed by Chawla’s wife, Harsh. In the weeks following his appointment, Tekchendani sends weekly financial reports and cash flow statements to Chawla. Mathur’s correspondence dwindles and is limited to operational matters – pilot’s salaries, maintenance expenses and insurance costs for the company. Mathur is still listed as the contact person for Heritage Aviation. As of February 1, 2018, aviation records show that Heritage sports an additional two Airbus Helicopters EC130 helicopters that have been added to the fleet, as well as the Beechcraft B300 that Mathur used to manage on Sahara’s behalf. This brings the operator’s fleet to a total of five helicopters and two airplanes. Despite requests for comment, neither Mathur nor Chawla responded. Detailed questions to Van der Merwe and Associates were also not responded to. It remains unclear exactly how much money the Guptas have allegedly ferreted out of the country. The web of shell companies, opaque shareholding and the Gupta’s use of their lieutenants make tracking down their companies difficult. But if their conduct in Heritage Aviation is anything to go by, millions of state funds could already be locked away in entities without any clear links to the Guptas.